Below is the list of committee members and non executive officers of Worthing Archery Club. The committee is elected by the club members at our AGM for a term not exceeding two years. Committee members wishing to remain in post after this time must be re-elected at the AGM. Any full member of Worthing Archery Club can stand for election for any position on the committee and must fill in a nomination form and be proposed and seconded by two other club members. Please see our constitution for full details. Graham has been Chairperson since September 2013 and shoots compound. You can contact him about hiring of beginners bows, the club grounds & buldings, complaints, welfare and safety. Isla has been Secretary since September 2013. She shoots recurve and more recently barebow. You can contact her for Beginners courses, new members, club administration and any miscellaneous questions. Neil was elected as Treasurer at the 2017 AGM and shoots both barebow and compound. 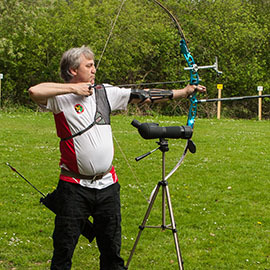 You can contact Neil about deposits and refunds for beginners bow hire, club finances and club equipment and other financial matters. Paul joined the club in 2015 and shoots recurve. You can contact him about club and interclub tournaments, Albion Frostbite & Sunburn Leagues. Linda was elected membership secretary at the 2017 AGM and shoots both recurve and barebow. 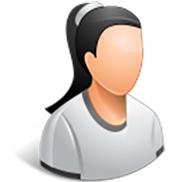 You can contact Linda with membership queries from existing members and Archery GB and S.C.A.A. fees and associations. Frank became Records Officer in 2013 and shoots recurve. You can contact him about submitting completed score sheets, questions on different archery rounds, classifications and handicaps. Oliver Johnson runs our website. Oliver designed and built this site in 2013. If you have any comments, suggestions or questions about the website please contact Oliver by clicking on the link below. 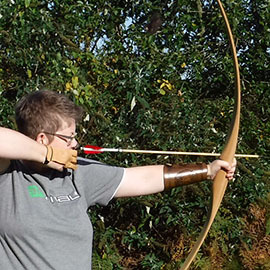 Isla took up archery in 2012 and currently holds a 1st Class Classification in Barebow. Isla qualified as an Archery GB Level 1 coach in 2016 and regularly organises and coaches on our beginners courses throughout the year. Oliver took up archery in 2012 and currently holds a 1st Class Classification in Recurve. Oliver qualified as an Archery GB Level 1 coach in 2016 and regularly helps run the beginners course throughout the year. Andrew took up archery in 2014 and has been a regular helper on our beginner courses ever since. Andrew qualified as an Archery GB Level 1 Coach in 2016. 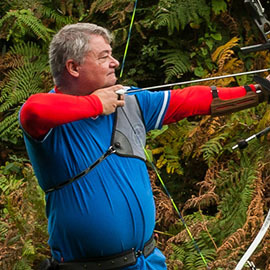 Paul Murray took up archery in 2015 and has thrown himself into archery. As well as being voted onto the committee and being League Secretary, Paul qualified as an Archery GB Level 1 Coach in January 2017. 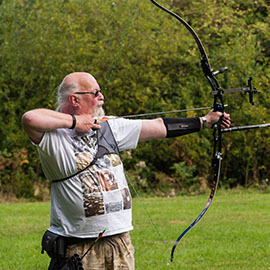 Club Treasurer, Neil qualified as an Archery GB Level 1 coach in 2019. 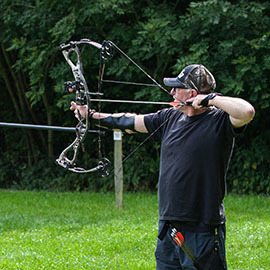 He shoots compound and flatbow, amongst many others, and has encouraged many club members to try traditional forms of archery with great success. 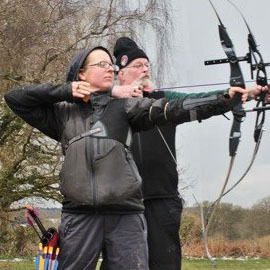 Membership Secretary Linda qualified as an Archery GB Level 1 coach in 2019. She shoots both recurve and flatbow and has been a regular helper on our beginner courses since she joined the club. 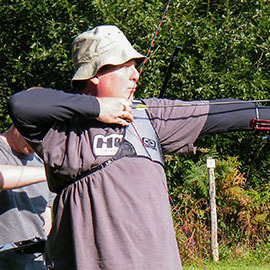 Nicky qualified as an Archery GB Level 1 coach in 2019. She shoots recurve and has been a keen competitor in the clubs Sunburn League Tournament, being the 2017 club champion.